This book is a valuable resource for the young adult. 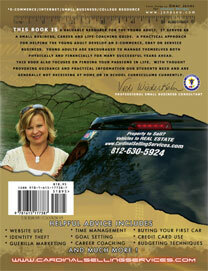 It serves as a small business, career and life-coaching guide. 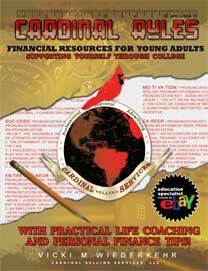 A practical approach for helping the young adult develop an e-commerce, Ebay or service business. Young adults are encouraged to manage themselves both physically and financially for many successful years ahead. This book also focuses on finding your passions in life. With thought provoking guidance and practical information our students need and are generally not receiving at home or in school curriculums currently.